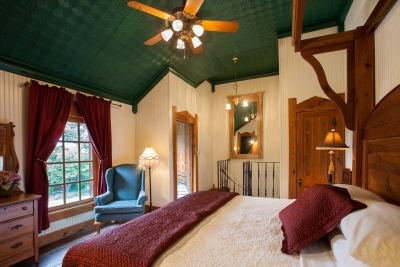 One of the most popular room for couples. 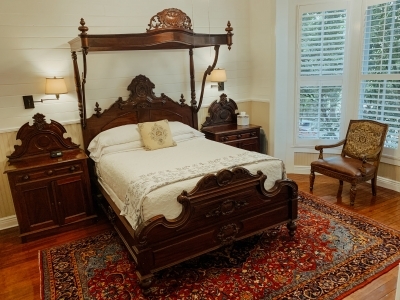 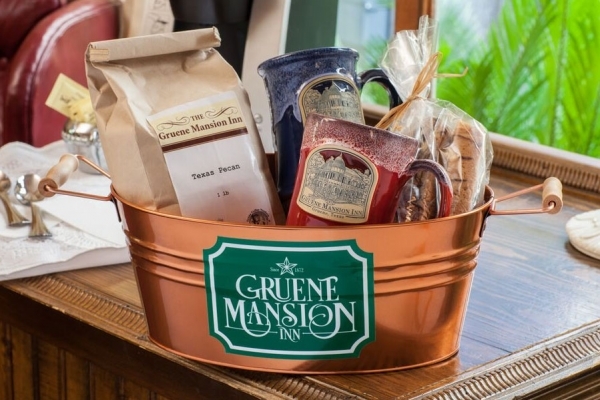 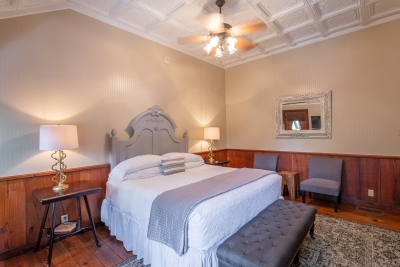 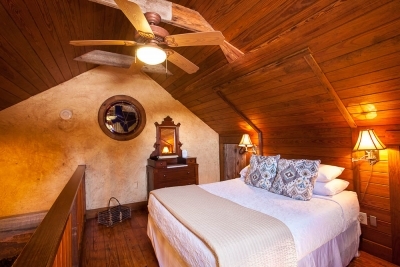 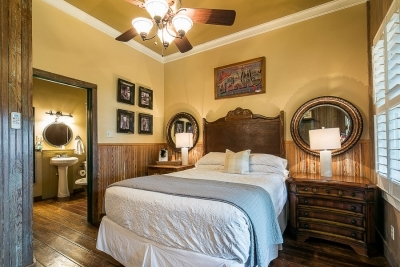 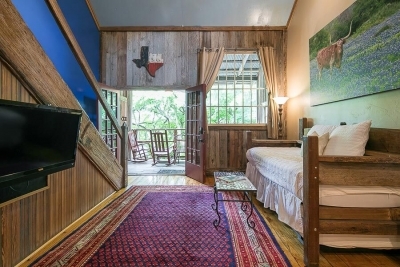 This two story room has a queen bed upstairs in the spacious loft with a spectacular view of the Guadalupe River. 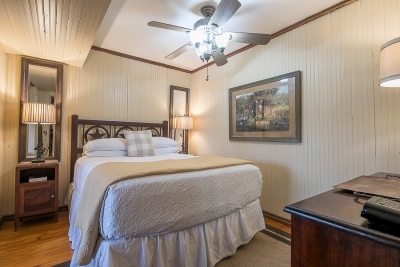 On the first floor you will find a lovely sitting area with leather chairs, bathroom with tiled shower, mini refrigerator, cable tv and Keurig coffee maker. 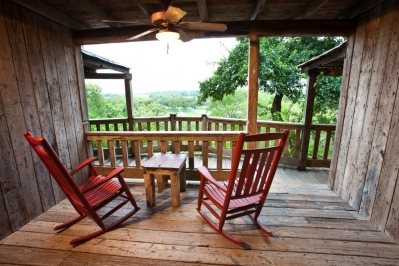 This room also features a front porch with rocking chairs that overlooks the beautiful Guadalupe River. 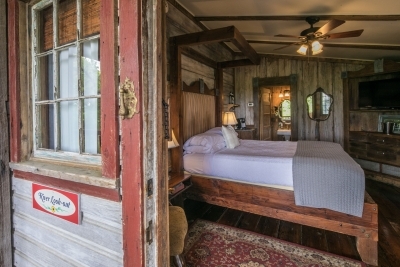 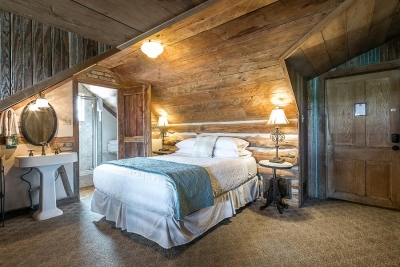 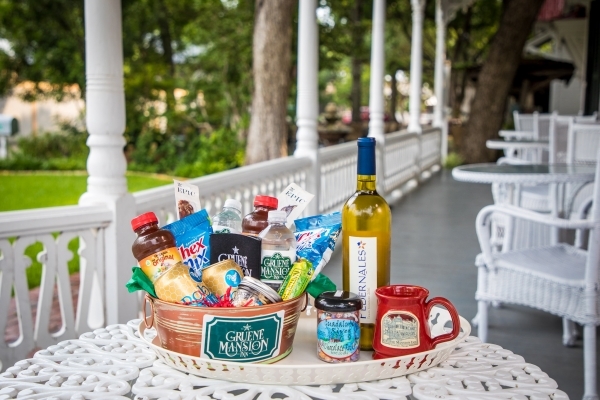 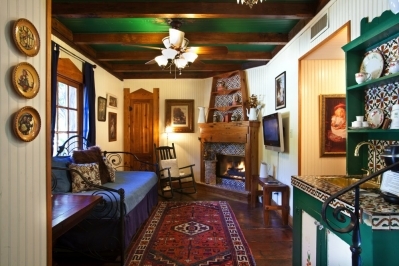 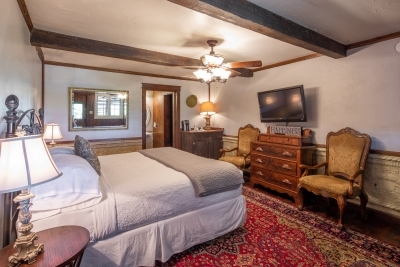 The Hayloft is a favorite with honeymooners.